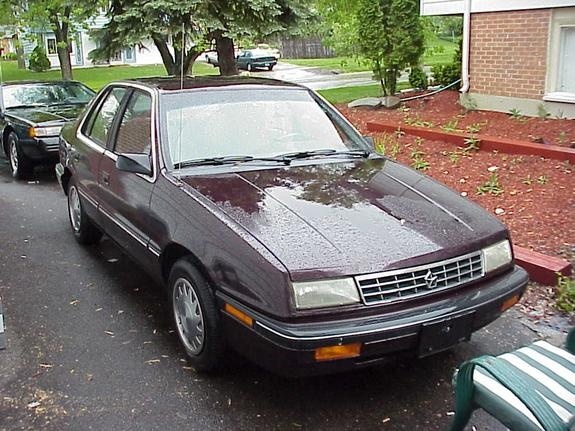 Have you driven a 1989 Plymouth Sundance? Displaying all 3 1989 Plymouth Sundance reviews. Looking for a Used Sundance in your area? CarGurus has 1 nationwide Sundance listings and the tools to find you a great deal. Good Work Car..... Needed To Fix Computer Problems — It was a good car until the engine computer went out the second time.. It was a very good card as a work car. Not big enough for a family unless you have a small child. Quality was good excect that computer. Appearance was great, plus the overall cost of owership was exceptional. Pros: The looks and general reliability. Bestfriend For A College Student. Oh How I Miss Johnny Dionysus Fate Aka The Silver Bullet — My dad got me this car while I was in college at MSU. It was a frankenstein car. Most of the parts that were on it he got from the junk yard and surprising they were all the same color of slate blue paint :) It last me until after I got out of school and moved back to the east coast then I got Blue Bomber in 2003 ... sadly it had just made 200,000 miles and it broke down one day in 2004 and I had to junk him because I was moving out of state.